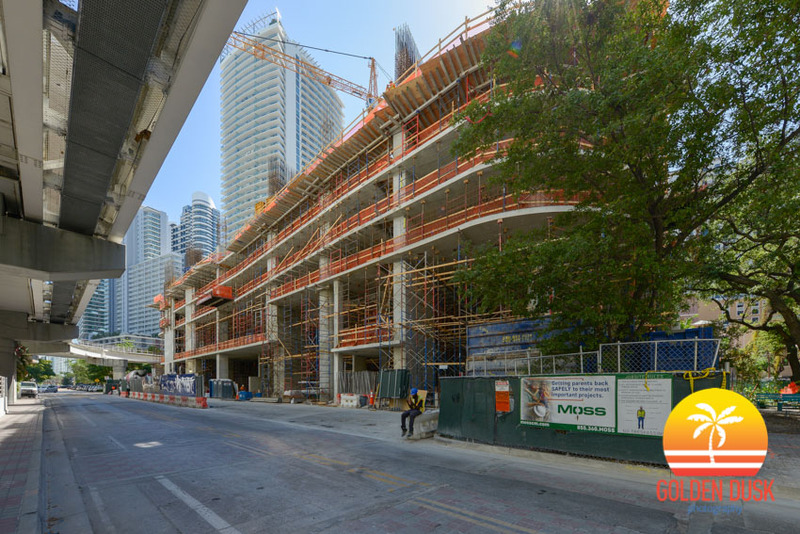 When we last looked at Brickell Flatiron in May, construction reached the 6th floor. 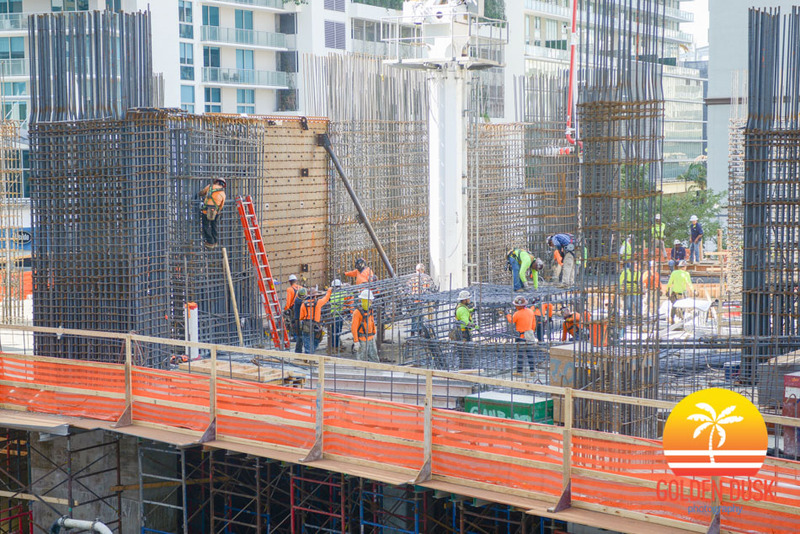 Construction has now reached the 10th floor and will rise 65 stories over Brickell. 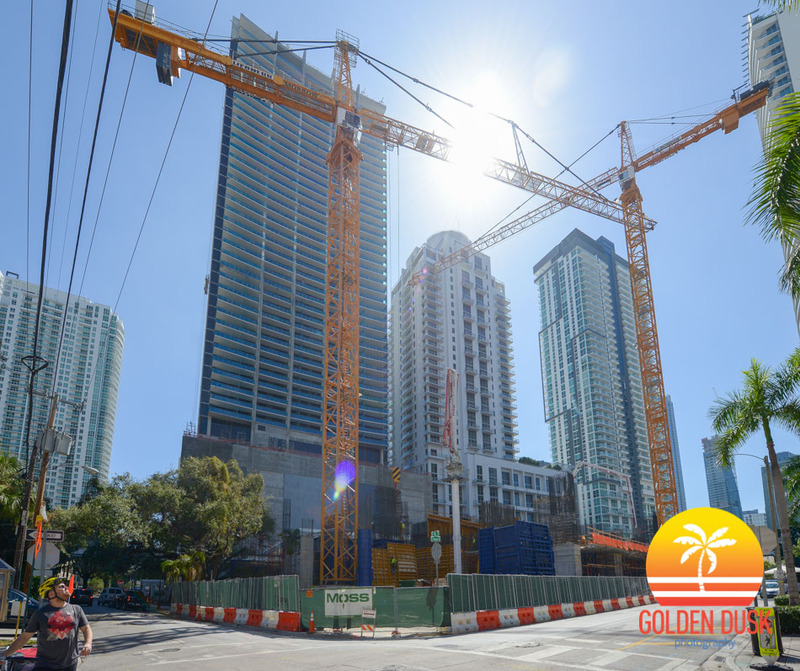 Brickell Flatiron started going vertical in February of this year and groundbreaking starting March 2016. 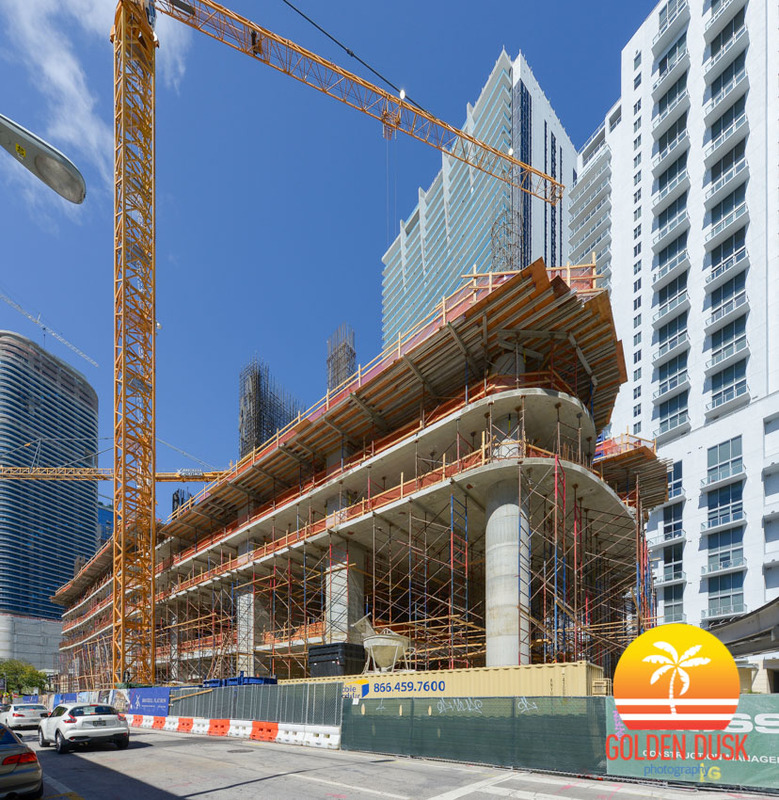 The 65 story Brickell Flatiron is continuing to rise in the middle of the emerging Brickell district of Miami. 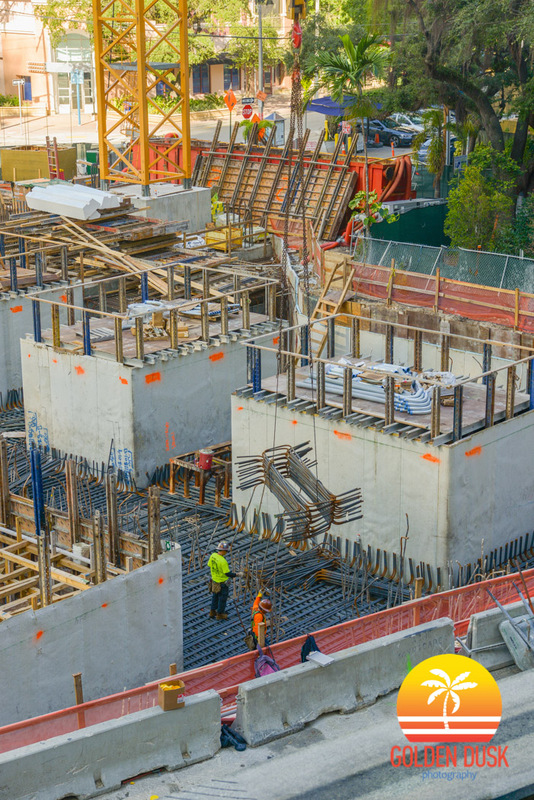 Construction is on the 6th floor with rebar and concrete pouring starting on the 7th floor. The curves of the building are now more noticable as the scaffolding is being removed from below. 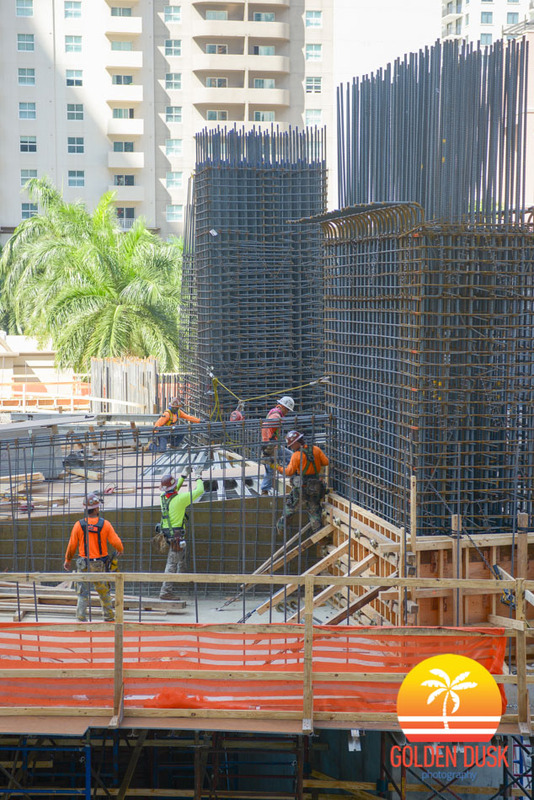 Almost a year since ground breaking, Brickell Flatiron is starting to rise on the 65 story condo in Brickell. The columns are starting to form as the building reaches the second floor. 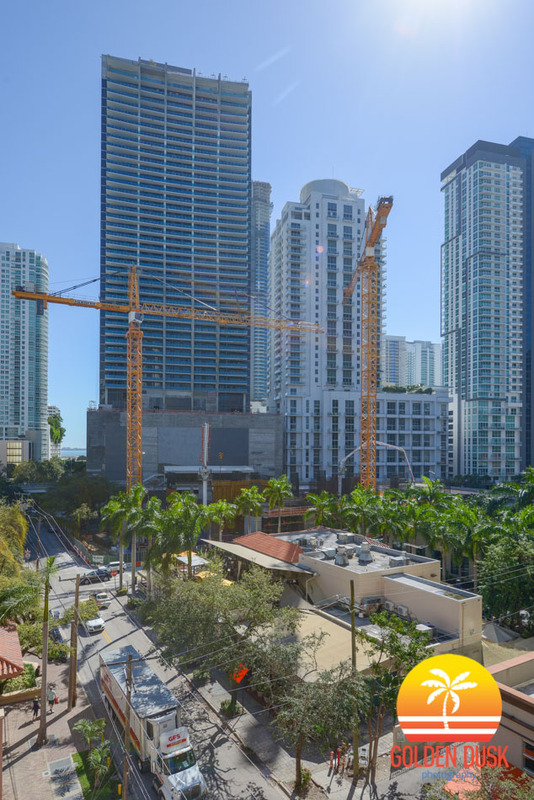 Brickell Flatiron is one of many buildings in Brickell that are changing the skyline since 2013. 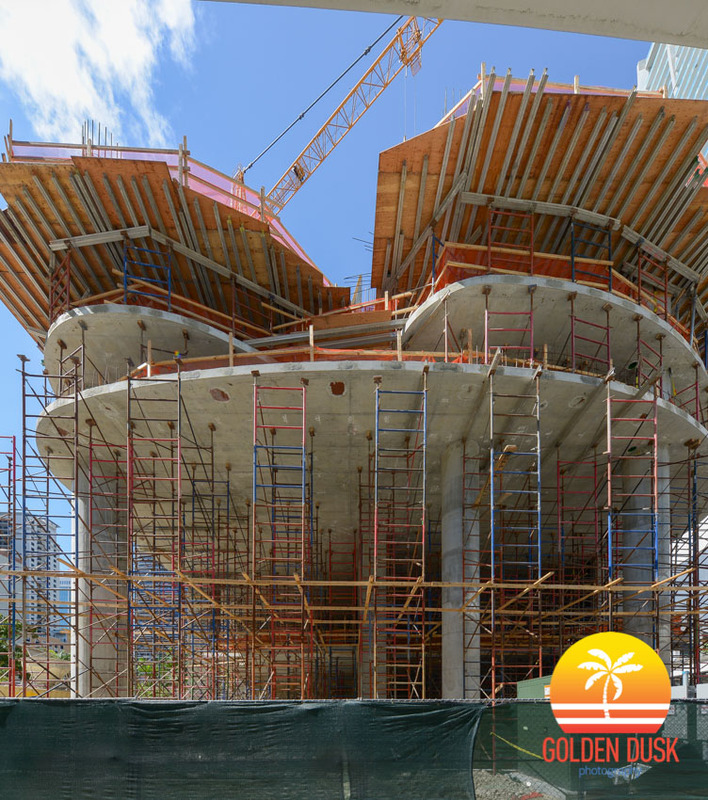 After having its foundation pour a month ago, Brickell Flatiron is now starting to go vertical on the 65 story residential building in Brickell. A year ago, the site was still used as a parking lot before ground breaking in March 2016. 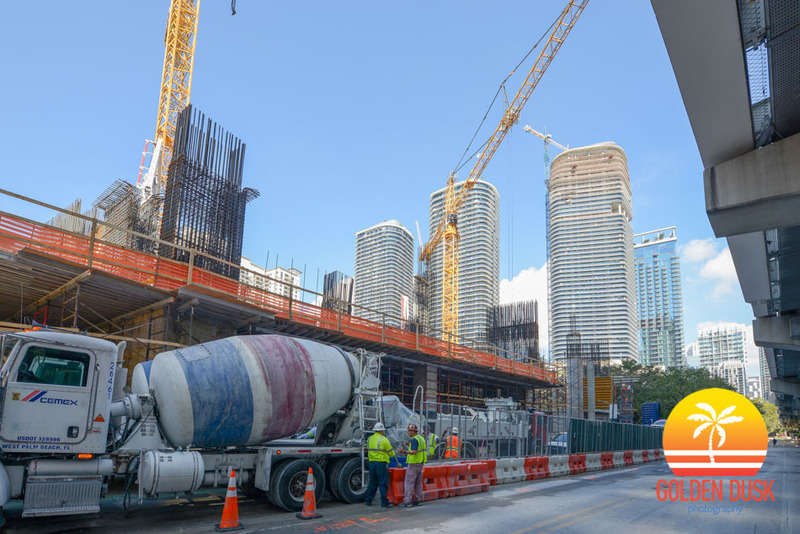 Brickell Flatiron is scheduled for its foundation pour this Friday, which will take 24 hours of a continuous pour and 1,300 truckloads. Groundbreaking began at the site in March 2016 and two cranes have been added since then. 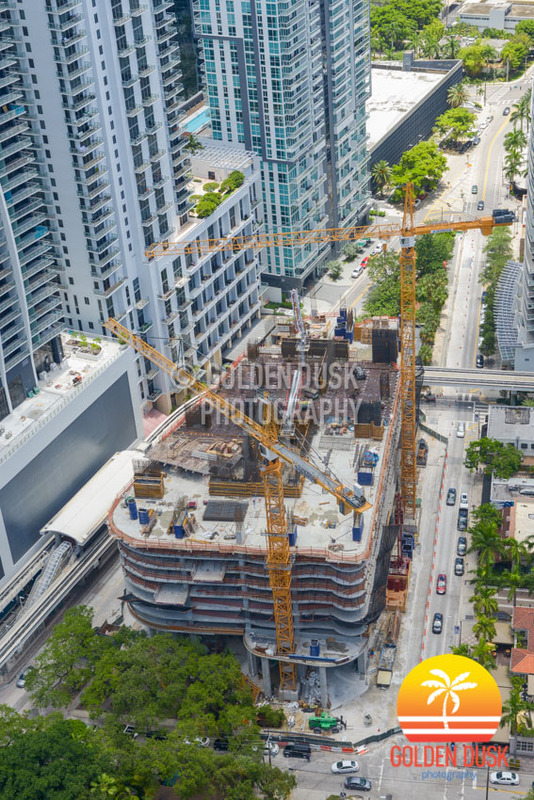 Brickell Flatiron is being developed by CMC Group and was designed by architect Luis Revuelta who also designed the proposed Aston Martin Residences on the Miami River. 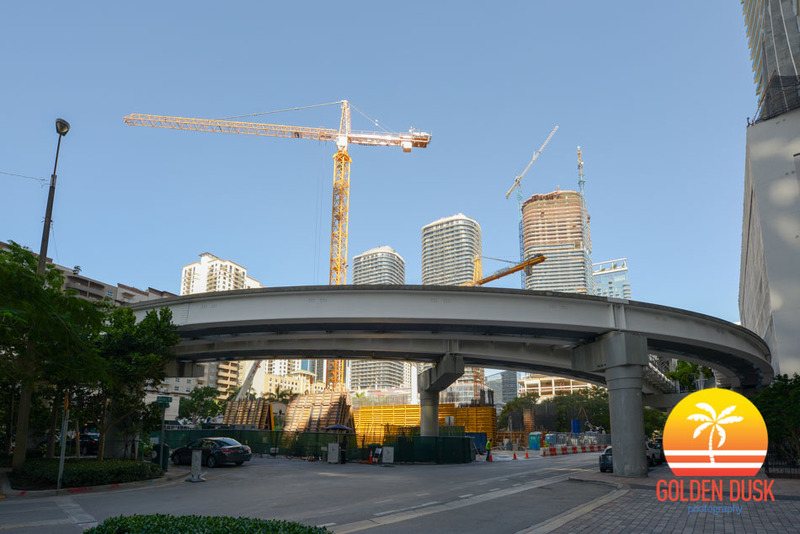 Brickell Flatiron will rise 750 feet to 65 stories and have 552 residential units. 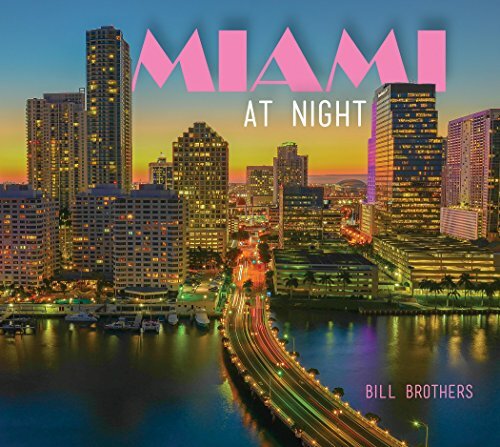 The project is one of many that has brought a dramatic transformation to Brickell since 2013. Previous photos of Brickell Flatiron can be viewed here. 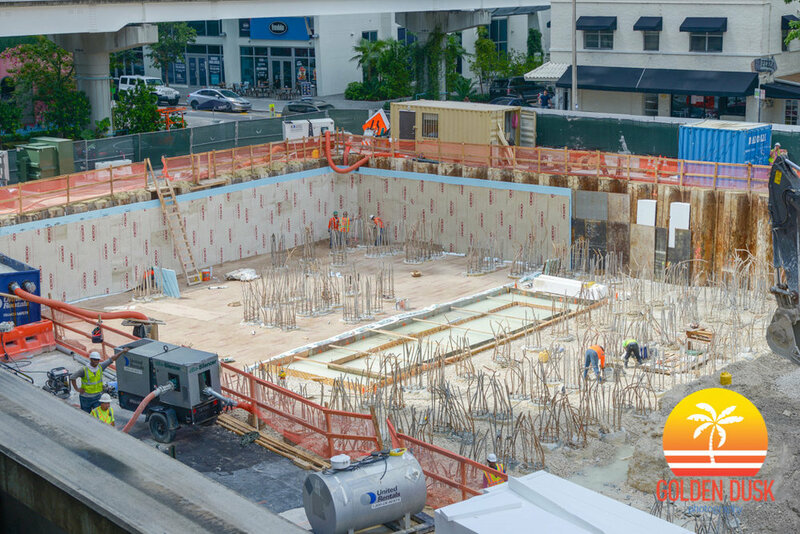 Since groundbreaking began earlier in March, foundation work was being done at Brickell Flatiron site and now excavating has started. One crane has been added to the site with the base of another installed. The foundation pour is scheduled for December 2016/January 2017 with the project going vertical soon afterwards. 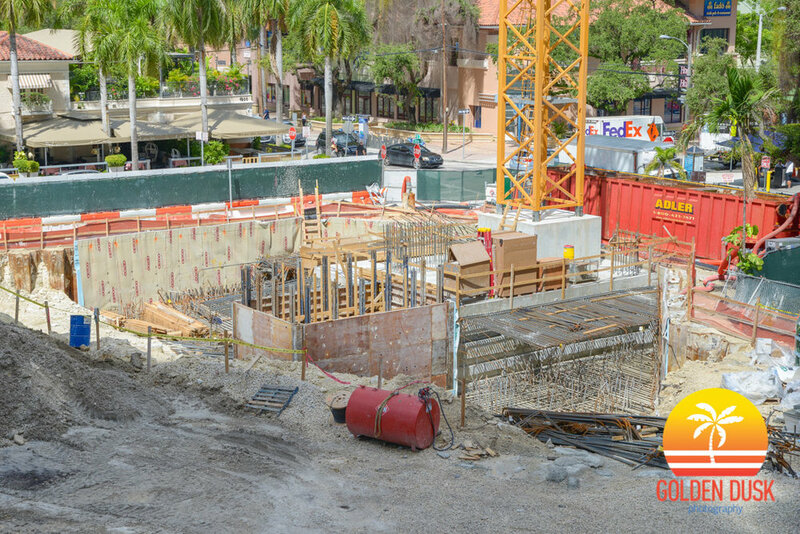 Previous construction photos of the Brickell Flatiron site can be viewed here.